Decorating during the Winter season should be fun and creative. It should be a blend of adding your personal style and chic creations. 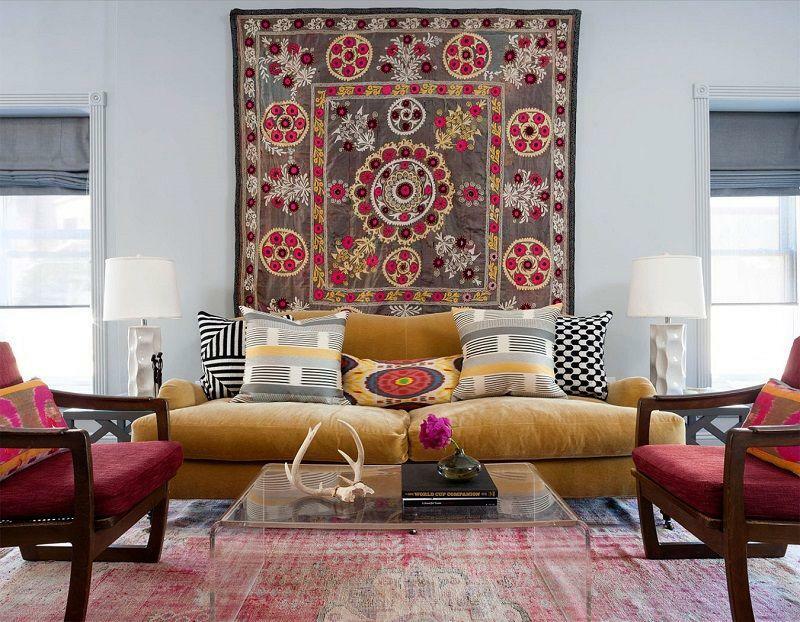 One of the best ways to achieve this goal is selecting the right colors to style with. The perfect choice of interior colors can make or break your home design. 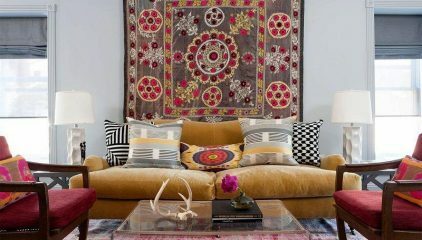 If you want to give your home an original layout with color combinations don’t over think it or follow too many rules. Decorate from the heart and the spirit of the Winter season. Here are 5 beautiful and fun Winter color combinations to help create an elegant home decor design. Navy blue and gray are 2 beautiful Winter color combinations. These colors can truly create an elegant home decor theme. This color combination is perfect to add elegance, poise and sophistication to any atmosphere. One of the best features about navy blue and gray together are their radiant yet modern results they produce. Navy blue is a popular tone during the Winter. It helps create a Winter atmosphere and adding the gray gives the area a contemporary yet upscale design. Decorating with navy blue and gray can give any residence the perfect blend of elegance and simple design. You can style any room in your home with these 2 lovely colors however, the best room to really bring these colors to life is in your living room. 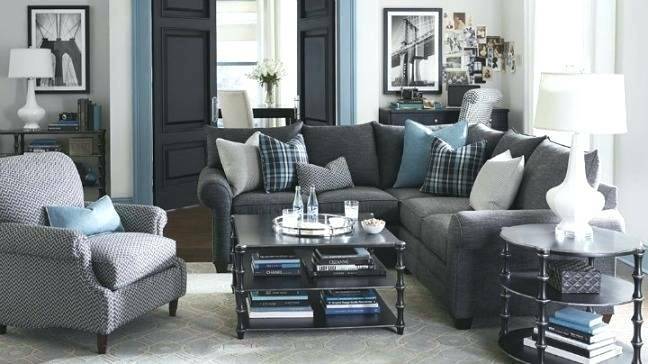 Beautiful example of an elegant home decor living room styled with navy blue and gray color combination. Another Winter color combination that creates an elegant home decor design are olive green and yellow. Initially, this may appear as a Spring theme. But this is a decorating myth. You can style with lighter colors such as yellow and still create a Winter theme. The olive green in this combination is what makes a Winter elegant home decor theme. Since it’s a shade of green that’s on the darker side it helps create a warm, Winter look. The olive green will help create a strong, intimate and polished vibe in your home. The yellow will compliment the olive green and give your home a stylish Winter layout. The green and yellow together will give your residence a vibrant, modish Winter vibe. This color combination option is the perfect choice for an artistic home decor lover or a fan of 60’s modish style art. This Winter combination is also great for accentuating elegant wall accessories. 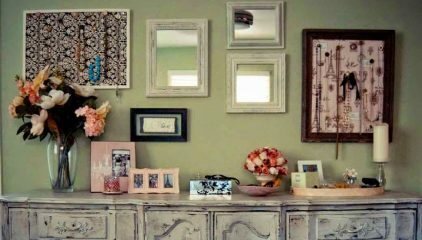 If you have a large wall painting or decorative picture frame you want to stand out, designing with dazzling colors such as olive green and yellow can accomplish this. 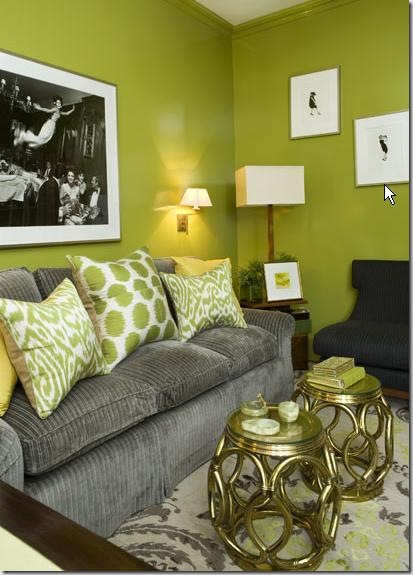 A fun, vibrant design of decorating with olive green and yellow for the Winter season. To go for an upscale, sophisticated elegant home decor look in the Winter style with red and gray. 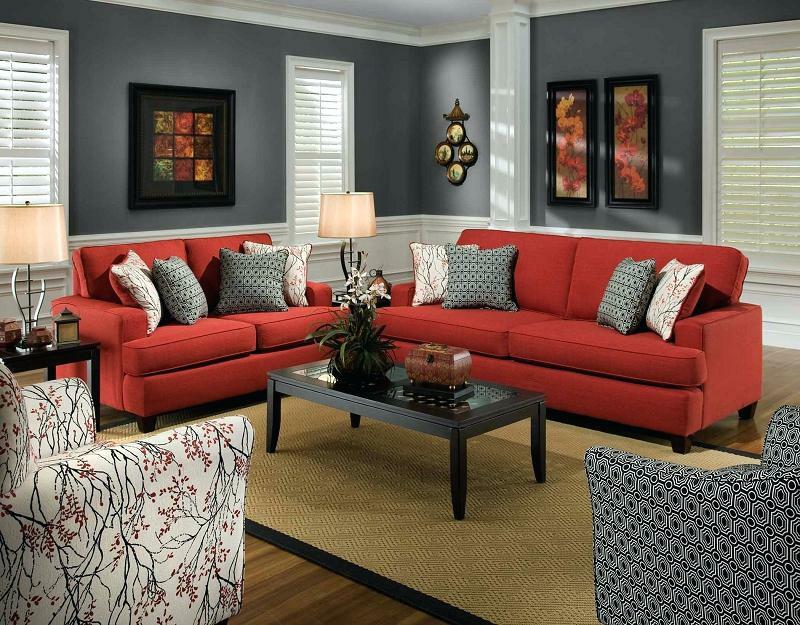 Another color that goes great with gray for creating elegant home decor during the Winter is red. Red and gray are gorgeous colors that can transform any place into a stunning sanctuary. Red is a popular, dominant Winter home decor color for many reasons. Red represents elegance, quality, confidence and class. The gray helps balance the statement the red is trying to say out. If you want to use red to go for a sensual, inviting look adding a splash of gray helps balance that look out. You don’t want the red to become overbearing. Yes other colors go great with red as well. However, gray represents contemporary design and modern appeal. Styling with red and gray is an amazing way to add a touch of class to your home. Another great attribute of decorating with the colors red and gray are the elegant home accents this combination helps bring out. Decorating with red and gray allows your elegant home decor accessories to stand out. This is due to the striking presence of red and serene aura of gray. Styling with black and white using black as the dominant color is an amazing way to create a lavish, poise, elegant home decor theme. This is a very traditional elegant home decor color combination. Black and white are universal color combinations, especially in the Winter season. Although this color is common it’s still as popular today as it was years ago. The beautiful thing about blending black and white together are the many versatile features it can produce. 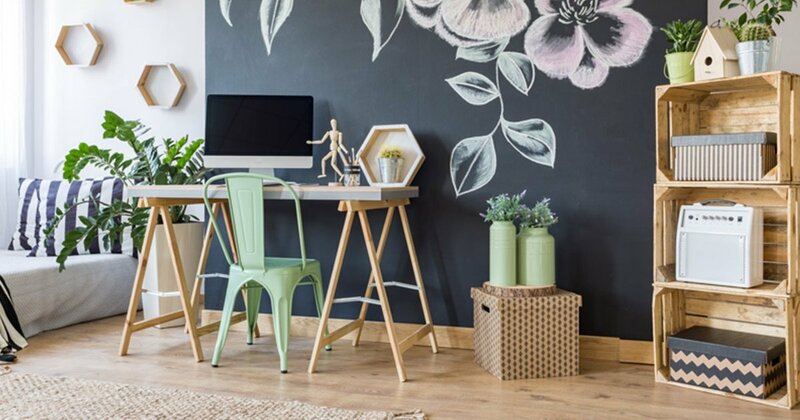 If you’re looking for a standard, modern home decor design black and white are great colors. 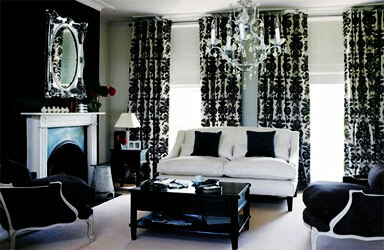 If you want to style your home with an upscale, poise design using the colors black and white are a great choice. 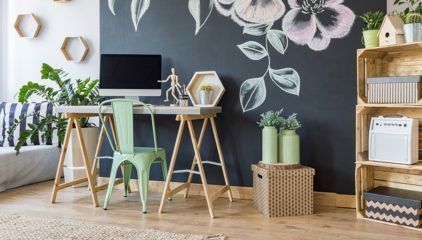 If you want to pay homage to a specific decade such as the 1950’s, 1960’s or 70’s with elegant home decor design, the colors black and white are perfect choices. The universal appeal and possibilities of combining black and white together are endless. If you want to go for a more extravagant, elegant design make black the dominant color of this layout. If you want to go for a more simple, modest design make white the dominant color of this theme. To design an extravagant, elegant home decor theme for the Winter try the blend of gold and cream. This fancy color combination will embody the essence of fine, rich decorating. If you want to go for a grandiose interior design theme this blend of tones will accomplish your goal. The color gold itself represents quality, upscale and elegance. If your dream is to style your home into a fine, poise atmosphere making gold a main color is a great route to take. Adding golden luxury home accents alone can transform your residence in a matter of moments. The great thing about this design tip is the fact that you can make your home look expensive without spending a large amount of money. Adding the shade of cream helps give your home a soothing, evenness tone to it. The cream compliments the gold in a tremendous way. 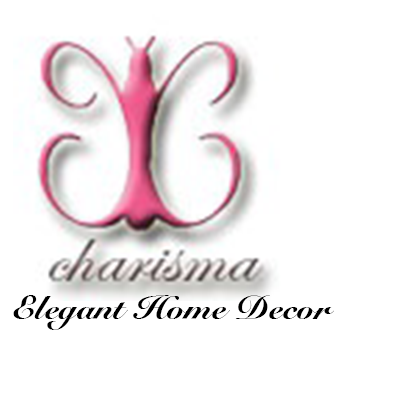 It helps add charm and intimacy into your home while the gold gives your living quarters its elegance and style. 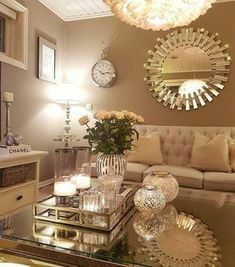 Large home decor accents such as floor vases, statues and corner tables go very well with an interior gold and cream theme. Stunning living room design with soft gold and cream colors. This is a gorgeous display of how to create elegant home decor with these 2 lovely colors. Elegant home decor color combinations like these 5 mentioned are guaranteed to give your house an original Winter styled layout. However, these gorgeous color blends aren’t the only combinations to gain inspiration from. Take any Winter season color and add any undertone of your choice. It’s all about how you style.